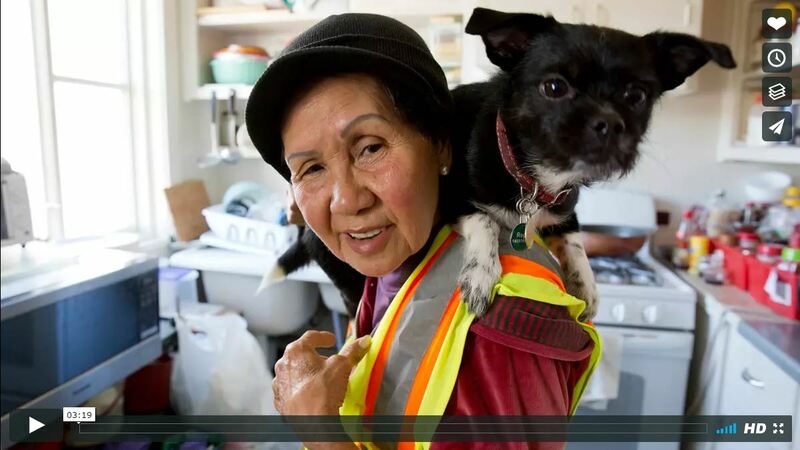 Suu Ngo, 67, has been working as a street sweeper with the DPW the past five years along Irving Street in the Inner Sunset. She talks about the importance of family in her life and the urge to keep working. Suu's video went viral with over 5.7 million views on the San Francisco Chronicle's Facebook post. A Go Fund Me was started for Suu which allowed her to go back to visit her 90+ year old mother and family in Vietnam.